Some stuff blooming inside |Sundews Etc. 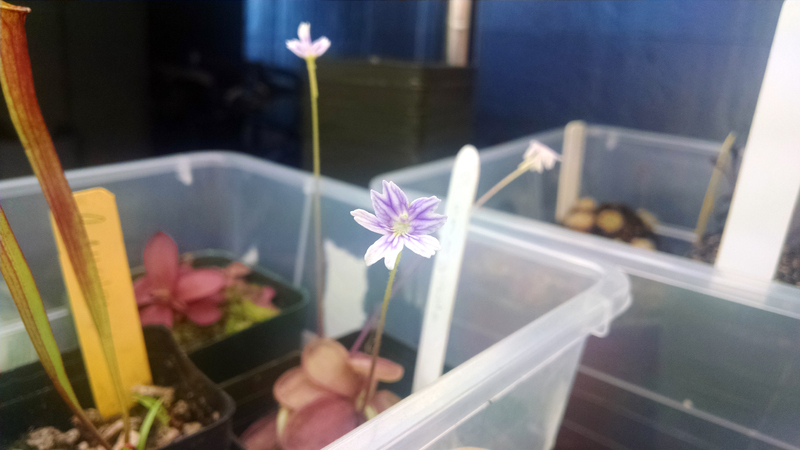 I noticed that my Drosera spiralis is starting another flower stalk. Check out that wonky leaf too. I don't know why it grew like that. This is a great plant! I really need to do some root cuttings. Let's see what else is blooming around the growspaces. Pinguicula laueana × emarginata flower. Very elegant. Pinguicula emarginata. It's fun to compare with the hybrid flower above. 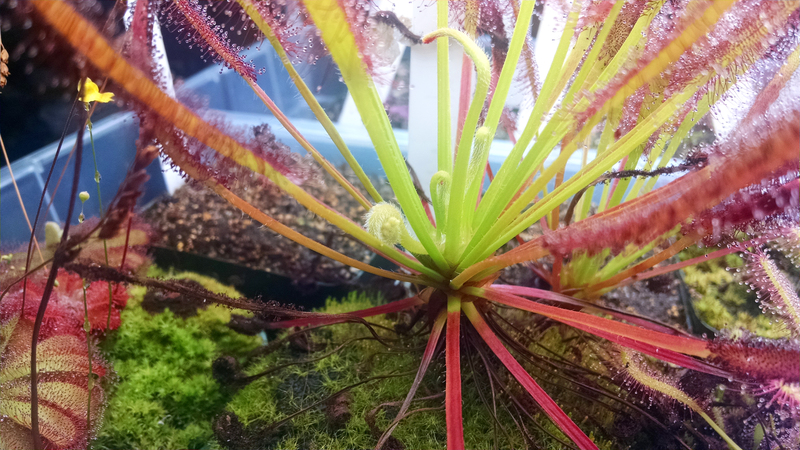 Emerging Drosera binata flower stalk. I think I'll turn this one into cuttings. 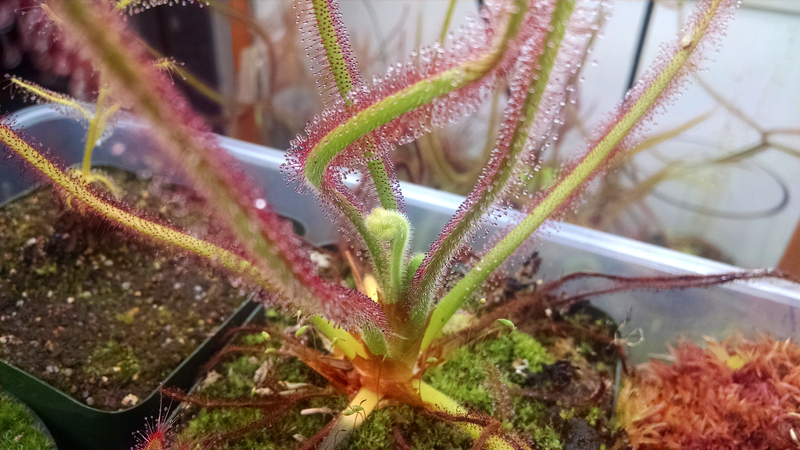 Drosera capensis. I received this as a broad leaf form. the leaves aren't that broad, but it's a large, impressive plant. Of course there are a million Utricularia bisquamata and Utricularia subulata blooms everywhere. It's nice to see everything blooming so nicely. You could probably grow the D. binata outside year round where you live, it should do great. My climate is fine, but my backyard is exceedingly windy. 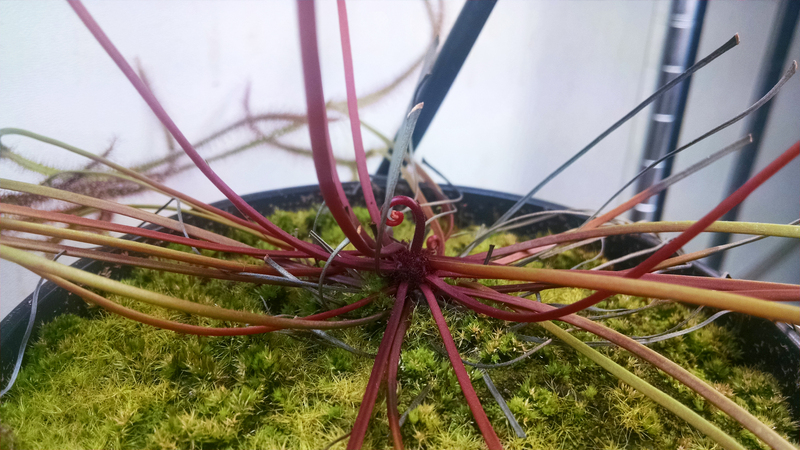 Sundews hate it out there. They'd do great in a hoop house or something I guess. 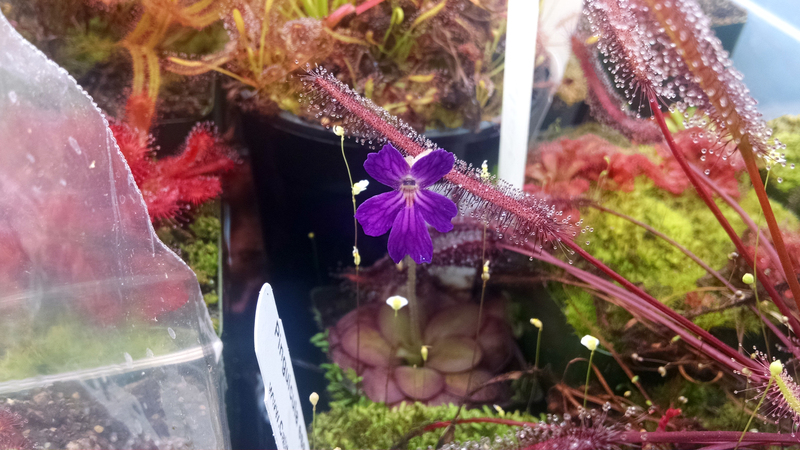 Did you try pollinating the Drosera spiralis flower the last time it bloomed? It should be self-compatible according to the ICPS website. I fiddled with it a bit but not very seriously. I can't decide if I want to do that or try flower stalk cuttings this time.